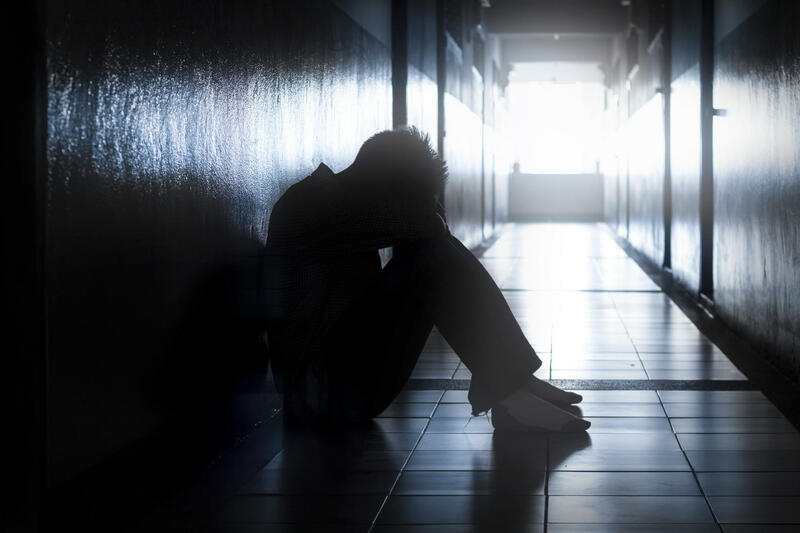 U.S. health officials recommended earlier this year that everyone over 18 should be routinely screened for depression, but spotting signs of the problem is just the first step. What happens next? Too often, those who have depression aren’t actually getting the treatment they need, a new study suggests. Researchers from Columbia University College of Physicians and Surgeons, in New York, wanted to find out if people who’d come up positive for depression in routine screening tests were getting treatment for their mental health condition. Treatment usually includes psychotherapy and sometimes medication. Their study, published today in JAMA Internal Medicine, analyzed data from 46,417 adults who responded to a survey in 2012 and 2013. More than 8 percent screened positive for depression, yet less than a third of that group (28.7 percent) received any kind of treatment. Out of all who were treated for depression, almost 22 percent experienced serious psychological distress. For others, the reason they shy away from treatment for depression could be related to stigma or shame, he added. But part of the problem could also lie with the pressures of today’s health care system. Olfson said doctor’s visits tend to be oriented around what’s perceived as the most pressing medical problems – diabetes, heart issues, and hypertension, for example. Discussing treatment for depression can take a back seat. He said it’s difficult for a primary care doctor to address everything in the short timeframe they usually have to see patients. The irony, though, is that many times depression comes along with those very same medical conditions. For example there’s a strong relationship between depression and ischemic heart disease, and depression following heart attack, said Olfson. “Also stroke and certainly Parkinson’s patients have high rates of depression,” he added. The researchers found that among patients who did receive treatment, antidepressants were by far the most common approach, with 87 percent being prescribed such drugs. Psychotherapy came in second, with nearly a quarter of patients getting therapy. Most of the patients who received treatment saw a general medical professional, such as a primary care physician. Patients with more serious mental health conditions, though, were more likely to be treated by a psychiatrist. The study also found that publicly insured people had some of the highest percentages of depression treatment, while those least likely to be treated for the mental health condition included uninsured adults, and racial and ethnic minorities. Men with depression were less likely to get treatment than women. Even when patients are open to getting help for their depression, challenges can stand in the way. Some parts of the country, for example, don’t have enough mental health professionals to meet the demand. “Of all the different kinds of medical services, the very hardest ones to refer to are mental health services,” said Olfson. Dr. Maria Oquendo, president of the American Psychiatric Association, concurred. “In many communities, there aren’t providers,” she told CBS News. Another factor standing in the way of treatment is that it can be hard for someone with depression to motivate and find a mental health provider. “The onset of depression is so insidious and often times it’s not identified until it’s serious. Then a lack of motivation and apathy interfere,” said Oquendo. Small things can seem overwhelming to a person struggling with depression – even just looking up the name of a provider, getting organized to make an appointment and getting there. Oquendo said the study is “confirmatory news,” and also a red flag that more needs to be done. “Patients who are going to primary care doctors are not getting referred for treatment – we’ve started addressing this by implementing screening into primary care,” she said, but it’s going to take a lot to change doctors’ practices further and get patients who need treatment on that path. The authors noted that the study had some limitations, including the fact that surveys relied on respondent recall and diaries.